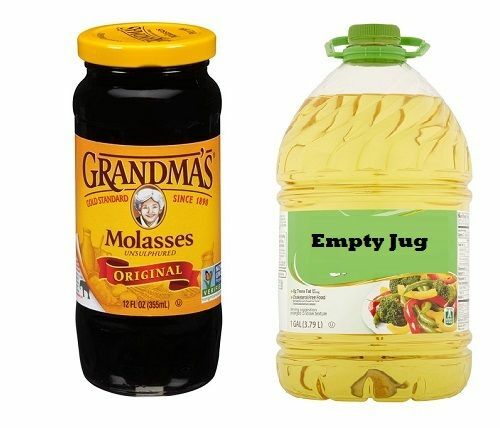 wow – who woulda thunk that the standard molasses could be dangerous ? rusty tools in for the rust removal process (which didn’t work for me). of the refrigerator 2-3 weeks ago. (the jug was half full). tonight, I looked at it and it was BULGING like a balloon !!! (probably from the fermentation gasses). and it is still sore. so now I am thinking – that cap could have hit me “in my good eye” or busted my lip. of the wife with a broomstick). so – if you gonna save your leftover organic experimental soakings in a jug, make sure it can breathe. this jug now has a 1/16” hole drilled in the cap to prevent any future mishaps. just another “word from the wise” awareness group. then through a thumper keg – - – - – - no wait – - – - that is another thread altogether. I have the same problem with beans. So far the built in pressure release valve is working. I have the same problem with beans. So far built in pressure release is working. Just make sure that exhaust fan is explosion proof. What a mess that must have been. I believe you are supposed to use animal feed molasses which has sulfur in it for rust removal, not human food grade stuff. I looked for some at my Tractor Supply but they didn’t have it. Are you “Sitting Down” when the pressure release valve let’s go? ..LOL..
Ive had Kimchi bottes pop like crazy when opened. You need a fermenting air lock to let the gas escape while it ferments if you’re making your own. I used the mason jars with air lock lids for a long time until I found the Crazy Korean Kimchi Container. You can nestle long strips of Napa cabbage in it for a beautiful end result. I had one friend in high school that was into lighters and ‘blue angels’. One day an especially long ‘blue angel’ ended up with the flame going where flames were never intended. Fire in the hole became a science experiment he ‘deeply’ regretted. I had one friend in high school that was into lighters and blue angels . One day an especially long blue angel ended up with the flame going where flames were never intended. Fire in the hole became a science experiment he deeply regretted. I believe you are supposed to use animal feed molasses which has sulfur in it for rust removal, not human food grade stuff. I looked for some at my Tractor Supply but they didn t have it. Yes. An Amish farmer I used to work for used it for rust removal, but it was animal feel molasses that we used to mix with oats to make “sweet feed”. But that was a long time ago. Might be hard to find in this millenium. I didn’t know about the explosion risk though, just the rust removal. He just left it in an open bucket. Maybe he knew not to seal it.